Connie Evans, President & CEO of the Association for Enterprise Opportunity (the voice of microenterprise/ www.aeoworks.org) in Washington, DC joins Monique. Connie is an international development consultant, with over 25 years experience, she has been recognized and utilized by such groups as the World Bank and the Clinton Administration. With international experience spanning 43 countries, Evans draws on her expertise in developing and implementing strategies to further economic development, health and social change in communities, will appear on the “Fuel Your Aspirations” with host Monique Wilson. 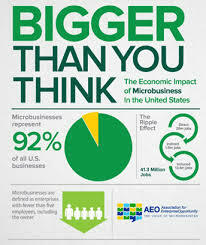 The exclusive interview will highlight micro and solo business advocacy, access to capital, women owned micro businesses, and the exponential growth of micro and solo business over the past 10 years and what we can expect in the future. We are looking forward to opening this dialogue and creating awareness of the organizations like AEO and other local Micro Development Organizations that support our success. Monique LaRue | The Mindful Connector | © Monique LaRue, all rights reserved.